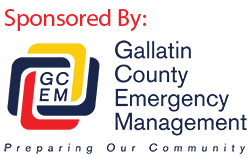 (Gallatin County, Mont.) Tuesday evening at 6:30 a Sheriff’s Deputy at Big Sky received a report from a wife in Utah reporting that her husband and 12-year-old son were overdue from a hiking trip in the Spanish Peaks area. It was snowing hard and temperatures were below zero when the Deputy was able to plow his way through snowdrifts and reach the end of the road where he thought their vehicle would be. At 8:00 he found the vehicle abandoned 5 miles from highway 191 and dispatched Sheriff’s Search and Rescue Units from the Valley and Big Sky. 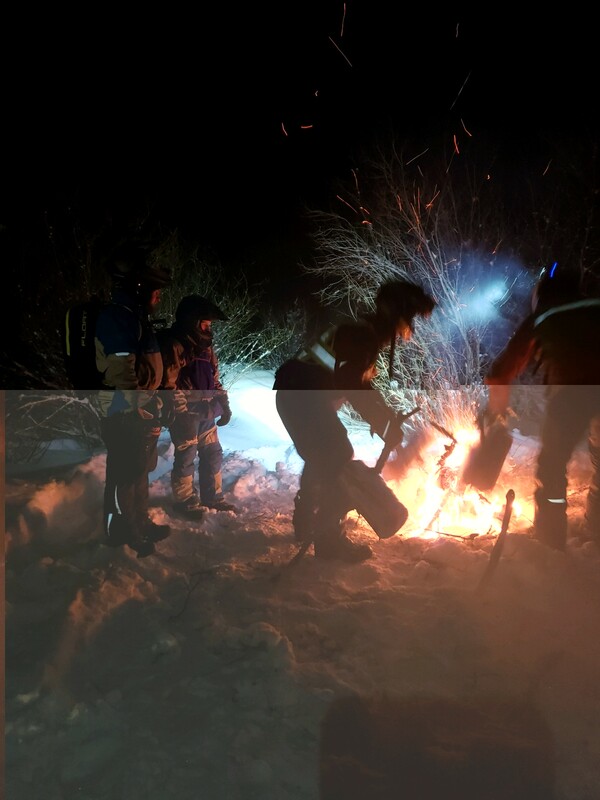 Twenty snowmobilers and skiers responded promptly, knowing that conditions made it critical to find the pair quickly. At 10:00 the first search teams located the boy between the main road and the Spanish Creek Cabin. He was hypothermic and confused. Rescuers took him back to the highway where an ambulance was waiting while others continued the search for the father. At the hospital a Sheriff’s SAR Deputy interviewed the boy as he warned up and became more coherent. Using landmarks and estimated times, the Deputy was able to narrow down an area where searchers could might find the father. The boy described being able to walk on top of the snow while his father was sinking past his knees. As the boy got further ahead of his dad he eventually lost contact and became disoriented but headed in the general direction of their car. 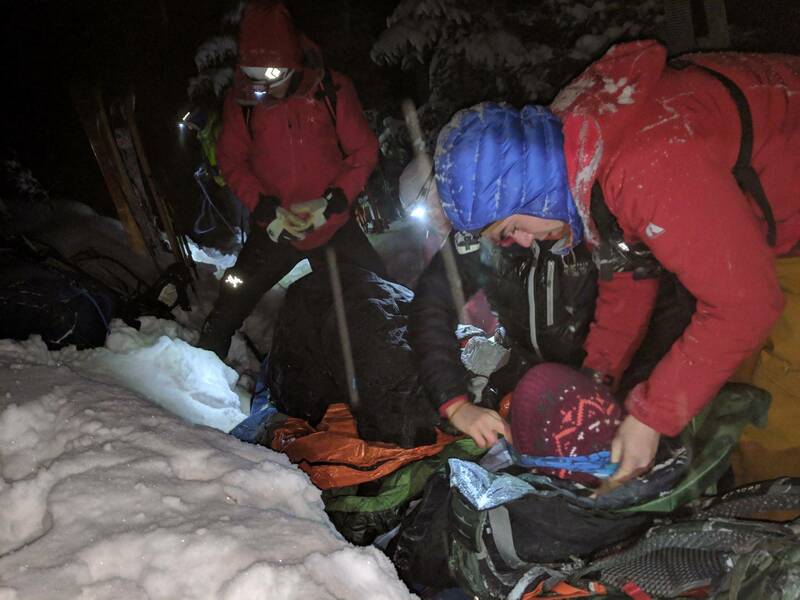 Meanwhile SAR members at headquarters in the valley were using cell phone forensic techniques and GIS data to narrow down likely search areas. At 15 after midnight Wednesday morning rescuers on skies located the father near the Pioneer Falls Trail, a few miles from the Spanish Cr. Cabin. He was conscious but hypothermic. 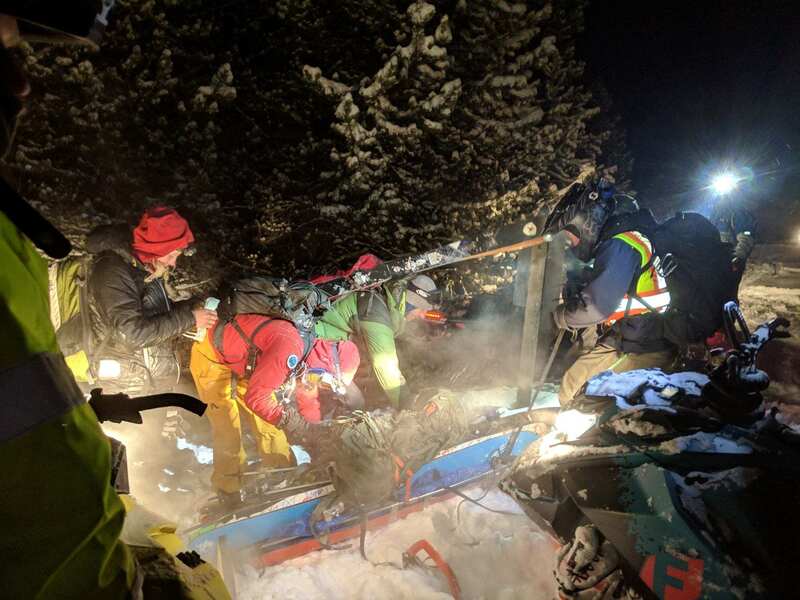 They transported him using a rescue toboggan to the cabin, then by snowmobile rescue sled to an ambulance. Father and son were both flown to University of Utah Burn Center for frost bite injuries. Sheriff Gootkin wants to thank the world-class volunteers and Deputy Sheriffs who made this incident have a mostly positive outcome. Our community values its Sheriff’s Office and SAR volunteers and incidents like this remind us why. This is a busy time of year, with January seeing 16 SAR incidents, but the members of the Sheriff’s Office family are here and ready to keep this community a safe and healthy place to live. Sheriff Gootkin will be available for interviews after 1:00 Wednesday at the Law and Justice Center. Note: While responding to this call, one of the search and rescue volunteers was struck by a white Chevy pickup that ran a stop sign and then left the scene of the crash, leaving its grill behind. Anyone with information is asked to contact Bozeman Police.